Wakefield’s council leader has criticised ministers for spending millions on the HS2 rail line when local authorities are struggling to meet the rising cost of caring for the elderly. Coun Peter Box said the Government needs to “rethink its national priorities” as Wakefield Council became the latest in the region to increase council tax bills by five per cent. He warned councils across the country would “go under” unless the Government takes a fresh look at funding. Councils across the country have voiced concern at the pressures they are facing trying to balance the books while also meeting the needs of an ageing population. Speaking at the Wakefield Council budget-setting meeting, Coun Box said: “It’s been estimated that the national gap for adult socialcare is £2.5 billion which the government says it can’t find. “But they can find £70 billion for a railway line that gets you to London 20 minutes quicker. 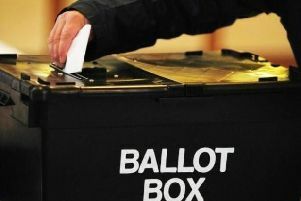 Under Government rules, councils can raise their tax bills by up to 1.9 per cent before they have to hold a local referendum. Last year they were given the power to raise a further two per cent if the money is ring-fenced for social care. Following the outcry from councils, Local Government Secretary Sajid Javid allowed councils to raise what is known as the social care precept by three per cent this year. However, town halls are also seeing their main Government grant reduced until it disappears completely in 2020 when councils will be expected to fund themselves entirely through business rates and council tax. Coun Box told the meeting: “We’re caught in a perfect storm. “We have unprecedented budget cuts, alongside an unprecedented demand for services. “In the long run that position isn’t tenable. The Government must decide whether it values local services. “If it does it’s got to fund them properly. If not it’s going to mean that many councils will go under in the next few years. “And the Government has got to accept responsibility for the spiralling cost of adult social care. Theresa May last week admitted the social care system needed “far-reaching reform” in response to the growing number of elderly people needing help. Chancellor Philip Hammond is expected to set out further measures on social care in his Budget next week amid reports he could float the idea of a so-called ‘death tax’. Ten years ago the then Labour Government suggested the idea of imposing a tax on assets of individuals after they died to help pay their care costs but it was savaged at the time by the Conservatives. In the Commons today Treasury Minister Jane Ellison denied the Government was resurrecting the idea. Leigh MP Andy Burnham, Health Secretary in the last Labour government, said when he suggested a care levy “the Conservatives produced an election poster with gravestones on it and called it a death tax”. Asked if ministers were considering the idea, Ms Ellison replied “No”.